Random thoughts from a random engineer. 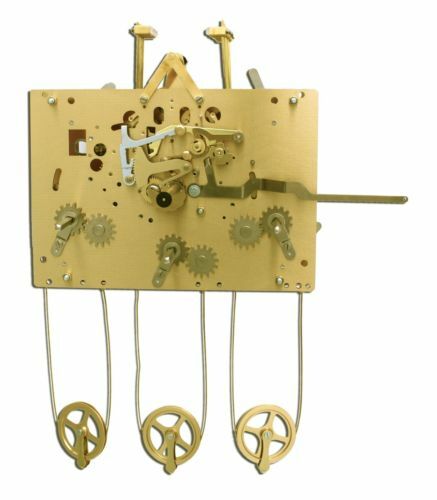 The heart of any clock is the movement [which is apparently what horologists (which is apparently what clock people call themselves) call the mechanism]. Obviously the case must accompany the motions of the clock, therefore the general principle is to design the case around the movement. So, here we are at step 1, select a movement. 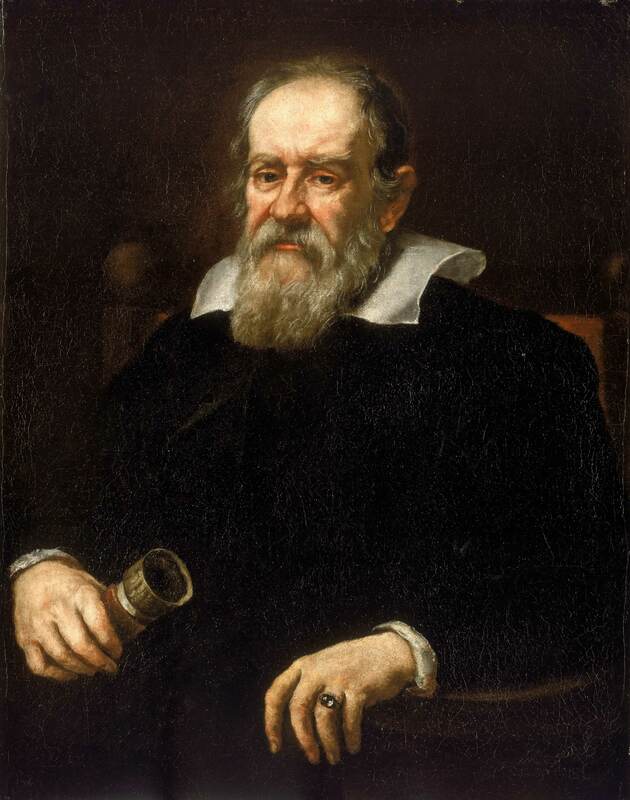 But, to hell with technology, we are doing it the way Galileo intended; with gears, weights, chimes, and we can't forget the pendulum. 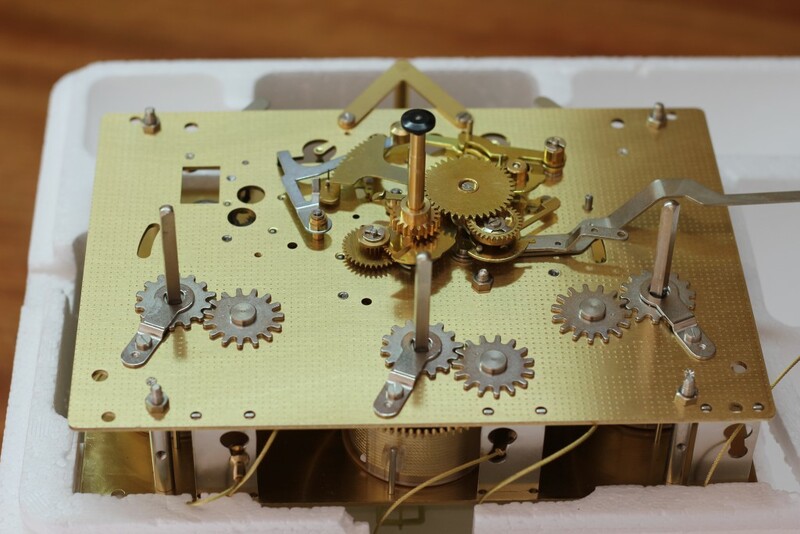 My first step was to jump on eBay and look for grandfather clock movements. I am not entirely sure why, but I quickly zoned in on the Hermle movements. I am not going to say they are superior movements to others, but they appear to be popular and in the appropriate price range. Additionally, once a manufacturer was selected, it significantly reduces the search space, easing the selection of a particular model. 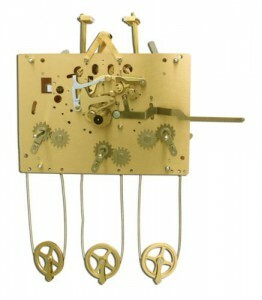 To my surprise, there is limited knowledge on the internet about grandfather clock movements. For some reason, clock knowledge in old white men's heads appears to be air-gaped from the internet. Hermle movements have model numbers such as 451-050/94, and I wanted to know what these numbers meant so I could select the proper movement. This site proved helpful to determine the proper movement. Jump to there, and you can follow my logic. Group A: I wanted something weight driven. That leaves the 260, 451/461/471 or 1151/1161/1171 series'. Group B: I wanted pendulum regulated. That eliminates the 260. Group C: Chain or cable drive? Eh, what do I care. Group D: All of the grandfather clocks I have seen have a separate set of hammers for chime (at the top of the hour) and strike (on the quarter hour). Therefore, we are looking for something with a "5" in the middle slot of the second set of digits. Group E: This group indicates the hand shaft length. Since the clock face is going to be wood, it will likely be about an inch thick. Therefore, the 53 mm (about 2 inches) hand shaft is the way to go. Therefore, we are looking for something that ends in a "3". That leaves just one variable, the most important variable, the pendulum length. It is a bit ironic that the variable that defines the entire mechanism is missing from the model number, but is indicated following it. The mechanisms of interest come in either a 94 or 117 cm pendulum length. Since I am not building a massive clock, I decided the 94 cm (37 in) pendulum would make the most sense. With that, I thought the 451-050/94 would be suitable, and went to ask the experts at the National Association of Watch & Clock Collectors (NAWCC). They have a forum for clock lovers, that has a moderate level of activity. I laid down my goals, and asked the experts. Their first advice, was to call Mark Butterworth (recall the air-gap?). I gave Mark a call, and he advised me to hit up some online stores, and give him a call back. However, he did mention that cable driven movements are superior, and that narrowed the search down to 1151, 1161 or 1171 movements. Cable movements are wound using a hole in the face. That is what the clock I had at home growing up required (hmmm, projecting? ), so I decided cable drive it was. Next step, determine what differentiated the 1151, 1161 and 1171. It turns out, the 1161 can be equipped with Auto Night Shut Off (ANSO), and the 1171 is always equipped with ANSO. I hadn't even considered ANSO, and that would have been a critical mistake. I know the first time the thing "bonged" in the middle of the night, my wife would have stopped it, never for it to be revived. So that leaves the 1161 and 1171 as options. More specifically, either an 1161-853 or 1171-853. I jumped on eBay and looked at several used 1161s. However, it wasn't always clear if ANSO was included. Additionally, since I know almost nothing about these things, I wanted one that was working well. I spoke with a retired man in Arizona, who writes repair guides, who had a working 1161-853 that had ANSO. However, after he was paid, he realized it did not have ANSO and reversed the transaction. Oh well, time (ha) to keep looking. There are plenty of new movements on eBay as well. I found 3 major vendors that sold the 1161-853. I called the first one, who promised phone support, and got a full voicemail box. Moving on. The second vendor I called was a retail operation in Milwaukee, Earl at Hawkins Clocks. Earl was very friendly and knowledgeable, and I now have an 1161-853/94 on the way. He was kind enough to throw in some extras, such as hands, push rods and mounting brackets all for less than the cost of the movement in his eBay listing. The movement came a few days after I ordered it. It showed up in a custom styrofoam box that appears to have treated it well.